There’s no question that high-end head-fi is expensive, but if you’re a dedicated audiophile (or just someone who wears headphones a lot throughout the day), then you know it’s worth it to invest in a solid pair of premium cans. Think about it: You likely spend more time wearing headphones than you do driving your car every day, so why not treat your ears to something that sounds great and will last for years or even decades? The Master & Dynamic MH40 are one such pair of high-end over-ear headphones, and they’re on sale right now, letting you score a set from Amazon for $200 – half of their original retail price. 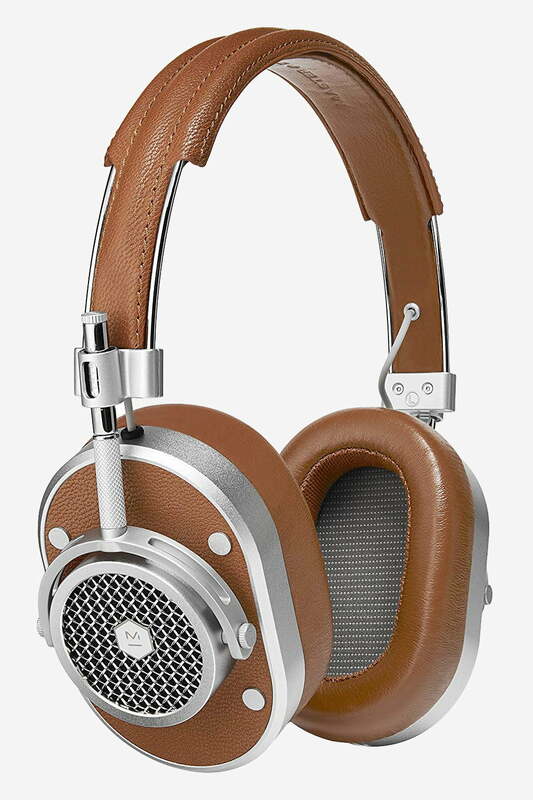 The MH40’s quality is apparent at first glance, with the sleek leather and metal design showing off the superior materials and old-school aesthetic that sets these apart from the ocean of black headphones on the market today. The frame and headband of the Master & Dynamic MH40 headphones are made of steel and aluminum – no creaky, crack-prone plastic to be found here – culminating in a durable, attractive, and lightweight build. The plush memory foam earcups and headband are also enclosed in genuine cowhide and lambskin leather for a premium look and feel. The headphones are comfortable on the ears and built to last for decades. For sound, the Master & Dynamic MH40 headphones pack two beefy 45mm neodymium magnet drivers, and connect to your devices via a woven 3.5mm cable. This detachable cable features an in-line remote and omni-directional microphone for taking calls, while the ear cups have a handy mute button that lets you instantly silence media playback when you need to without having to use your device. The Master & Dynamic MH40 headphones carry a steep retail price tag of $400, which is understandably more than most of us are willing to pay. Now, however, the price has dropped to a much more reasonable $200 (50 percent off MSRP and around $50-100 off of their “street” price), which is a solid deal on a pair of high-end headphones in this class. Looking for more great stuff? Find audio deals and much more on our curated Cyber Week deals page.